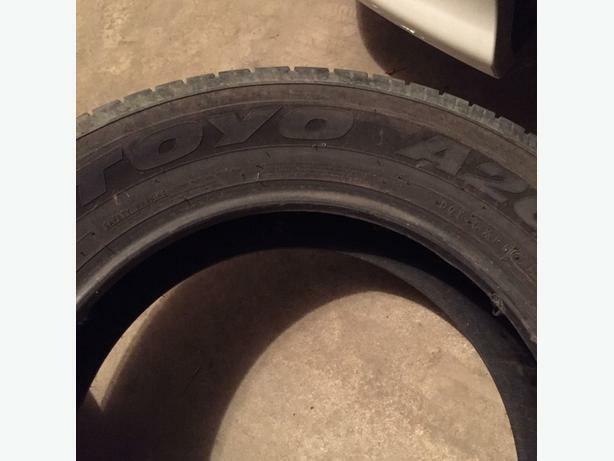 Mint Condition 1 All season tire brand Open Country Toyo A20 225/65/17 101H. Tread left on tire: 8/32" (78%). Came off from a 2015 Toyota RAV4. Tire is in good condition. No cracked, no cupped, no leak. Anyone interested can email me. Thanks for reading.Click on "View poster's other Ads" to check out my other items for sale at good price.